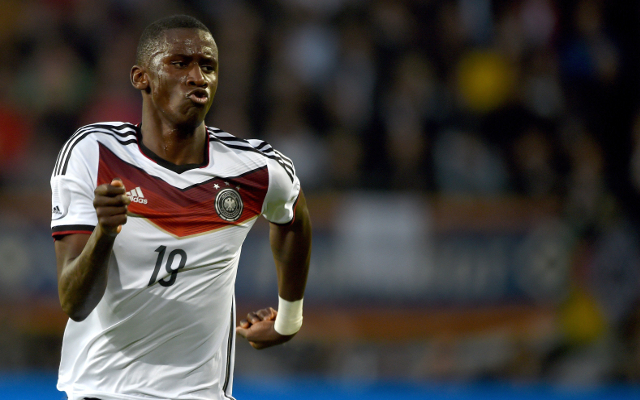 Chelsea have made a £12.8 million bid for Stuttgart star Antonio Rudiger as they continue their search for defensive reinforcements, reports the Daily Express. Chelsea: Plotting the transfer futures for Jose Mourinho’s loan stars; will any make it at Stamford Bridge? The 22-year-old is also the subject of interest from Porto and Wolfsburg, but he is keen to join the Premier League champions ahead of this pair according to the Metro. The youngster has drawn this interest after impressing in the Bundesliga last season. He made 20 appearances for Die Schwaben, and helped them to avoid relegation from the top flight. The centre-back even played well enough to make his competitive debut for Germany against Poland last October. This has caught the eye of Blues boss Jose Mourinho, who is on the lookout for young players to bolster his ageing defence. 21-year-old John Stones of Everton has been linked by the Daily Express, as well as Samuel Umtiti of the same age by the Metro. Rudiger could be another option. With John Terry now 34-years-old and Gary Cahill turning 30 next season, the 52-year-old will need to refresh his back line in the near future or face falling behind other teams. Having the highly rated 20-year-old Kurt Zouma at Stamford Bridge already does help the situation slightly, but they will need more than this in the coming years if they are to challenge on four fr0nts.